Super concentrated multi-purpose detergent for daily cleaning of all furniture. Recommended for glasses, mirrors, washable surfaces etc. 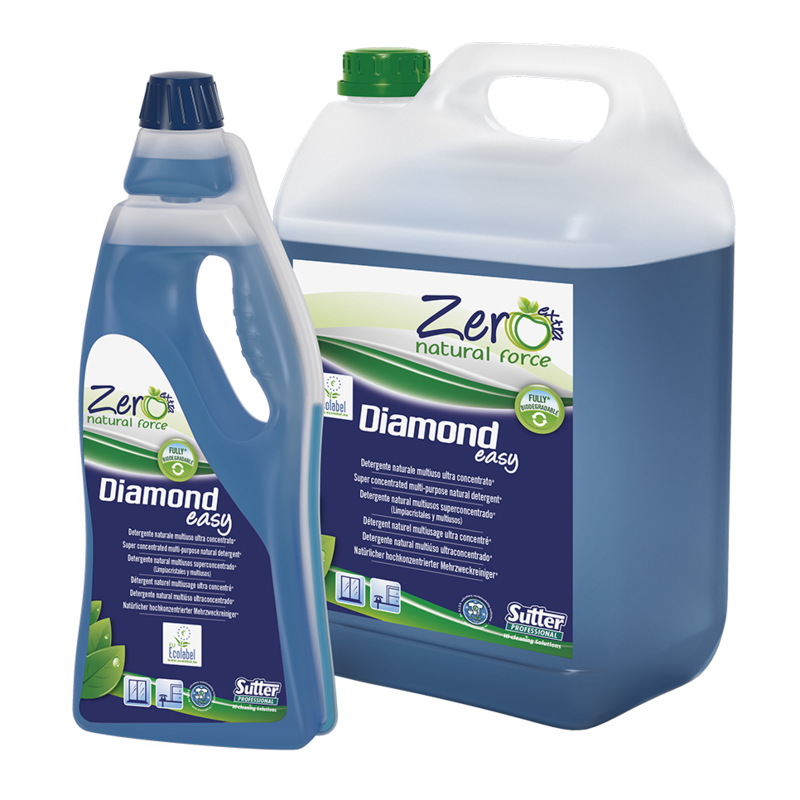 The daily usage of Diamond Easy, thanks to its formula with anti-redeposition agents, allows for an excellent protection of surfaces and easy maintenance. It contains vegetal origin raw materials (e.g. surfactants, solvents) coming from the processing of sugar beet and corn. Apple vinegar scent , allergen-free (Reg. 648/2004). Phosphate and nickel-free (less than 0.01 ppm). The product diluted according to the suggested dilution ratio is not classified as hazardous (without CLP signs) according to Reg. 1272/2008. 6% (30 ml in 500 ml). (30 ml in 500 ml). Also suitable for the cleaning of internal surfaces within boats, ships and other transport. The suggested dilution allows to economize and reduces the environmental impact to the minimum. A small amount of product is enough compared to a diluted product.